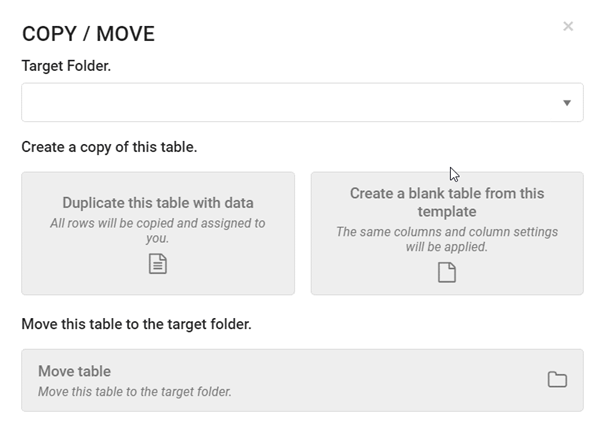 RowShare offers 4 ways to create tables to share with your co-workers: from scratch, from our templates catalog, from an Excel file or by copying an existing RowShare table. 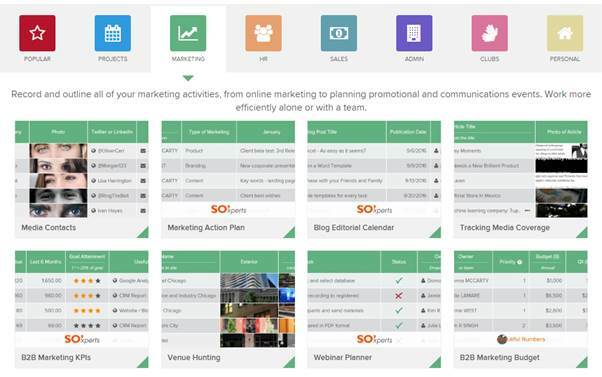 RowShare offers dozens of ready-to-use table templates: from action plan, business opportunities tracking, project portfolio, event management, staff lists to inventories and much more. The ready-to-use template catalog has been created by field experts to accelerate your collaboration. Because your needs are unique, we expect that you will need to modify our templates. Create your table, add columns, change settings, make it yours. If you would like to see additional tables in our catalog, or if you would like to offer one of your tables to our community, let us know. If you can't find what you want in the catalog, you can create your own table by choosing the tab From a blank page on the table creation page. Decide on how you want to share your table by clicking on Share above your table, and you’re good to go! 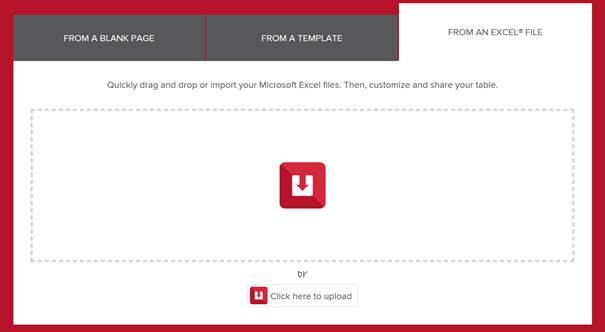 You can also create a RowShare table by importing an existing Microsoft Excel® file. Your table is positioned at the top left corner of your Excel sheet. It means that you cannot have empty rows or a title above your table. Right after your file is imported into RowShare, every column will be considered as text. It means that you will not benefit from RowShare features such as reminders, filters, calculations, attachments, etc. Click on each column header menu to change its type. If you import an Excel file with several tabs, RowShare will create a folder containing a RowShare table for each Excel tab. First, choose where you want to copy your table. You can either choose to copy the whole table and its content, or only the table structure: your new table will have the same columns and settings, but no row. In RowShare tables, each row has an owner. If you have access to the email addresses of the current table row owners (either they are displayed in the table or you own the table): the rows in the new table will belong to the same owners in the copied table. On the other hand, if you have no way to know who owns each row in the source table, all the rows of the new table will be assigned to you.